Doris Louise Cummings Dimmitt, lifetime Kellyville resident, passed away early Tuesday morning, March 19, 2019 at the age of 89 years. The daughter of the late Tommy Haulum and Velma Long Haulum, Doris was born on August 20, 1929. She was united in marriage to Ted Cummings on September 3, 1947 and to this union three children, Tom, Richard and Jean were born. After retirement, as members of the woodcarving group, Ted and Doris traveled extensively to numerous woodcarving shows. They embraced retirement until his death in 1989. Doris was employed with the Kellyville Public School system for over 25 years, heavily involved with the remedial reading program. She took great pleasure in educating kids and watching them grow up to be adults. She was a longtime member of the Kellyville Methodist Church. While her children were young, she was involved with helping out with 4-H, Boy Scouts and Camp Fire Girls. Doris married William (Bill) Dimmitt on August 1, 1990, and gained a daughter, Dr. Sandra Dimmitt. Bill and Doris spent 20 years of companionship and enjoyed ball room dancing. 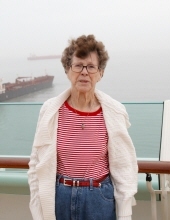 She loved to travel and spend time with the family and friends. She is survived by her children, Tom Cummings and his wife Lynda of Cushing, Richard Cummings of Tulsa, Jean Reynolds of Kellyville and Dr. Sandra Dimmitt-Carroll and her husband Bob of Kellyville; 7 grandchildren; 15 great-grandchildren, and other relatives and friends. In addition to her parents and both husbands, she was preceded in death by two sisters, Dorothy Haulum and Charlene Birckel. Funeral services will be held at 10:00 a.m. on Saturday, March 23, 2019 at the Kellyville United Methodist Church. She will be laid to rest in the Kellyville Cemetery. The family has requested that there would be no viewing. Memorial contributions may be made to the Oklahoma Lions kidsight USA, 4123 NW 10th Street, OKC, OK, 73107 in her memory. To send flowers or a remembrance gift to the family of Doris Cummings Dimmitt, please visit our Tribute Store. "Email Address" would like to share the life celebration of Doris Cummings Dimmitt. Click on the "link" to go to share a favorite memory or leave a condolence message for the family.